Three of our favourite warm greys; Chelsea Gray HC-168 on the hallway wall paired with Revere Pewter HC-172 on the reception room wall, alongside our soft Decorators White OC-149 seamlessly linking the two on the woodwork. 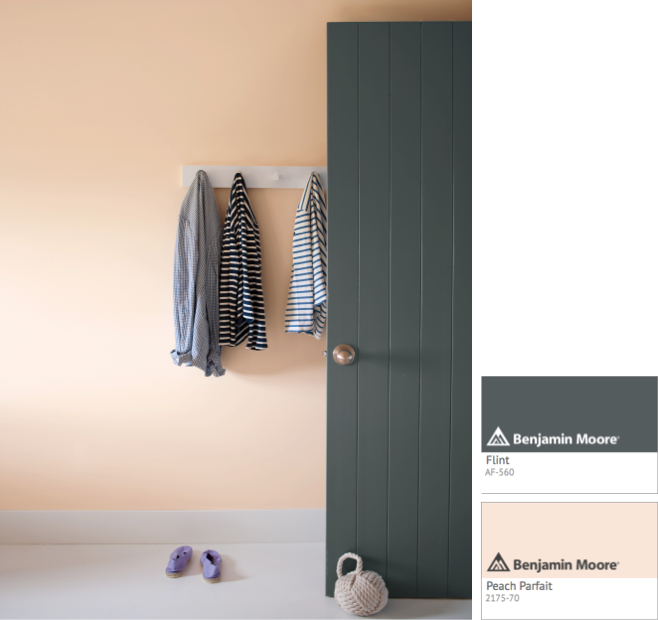 A hallway colour scheme has to work hard; it sets the tone for the rest of the house, creating a welcoming first impression, but also has to flow seamlessly with all the connecting spaces. So this month we are hoping to inspire you with some wonderfully sophisticated hallway schemes and give you a few tips on how to create a balanced and harmonious feel throughout your home without having to default to white or lacklustre magnolia in a space which, done right, can make a real statement. 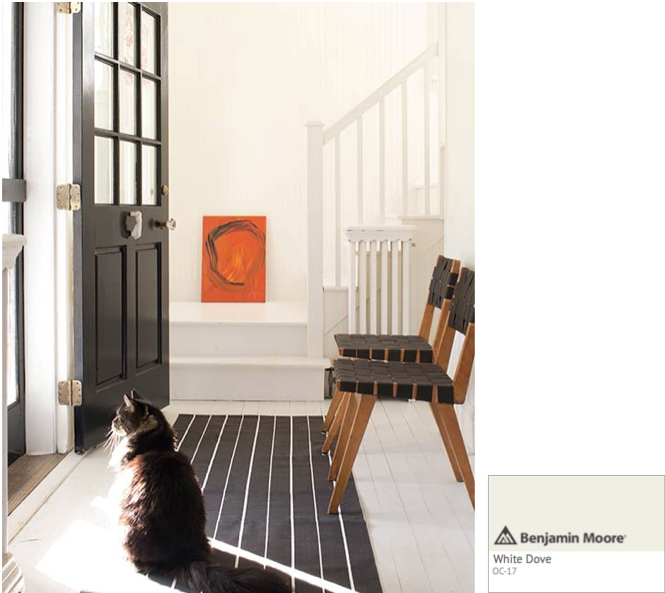 Dove White OC-17 is the perfect white for a hallway, airy yet with just enough yellow to feel warm with just enough grey to make it feel soft and sophisticated. 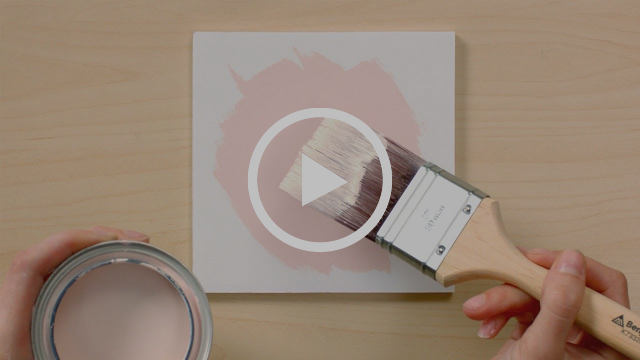 It's such a stunning shade, Architectural Digest wrote a whole article about it! 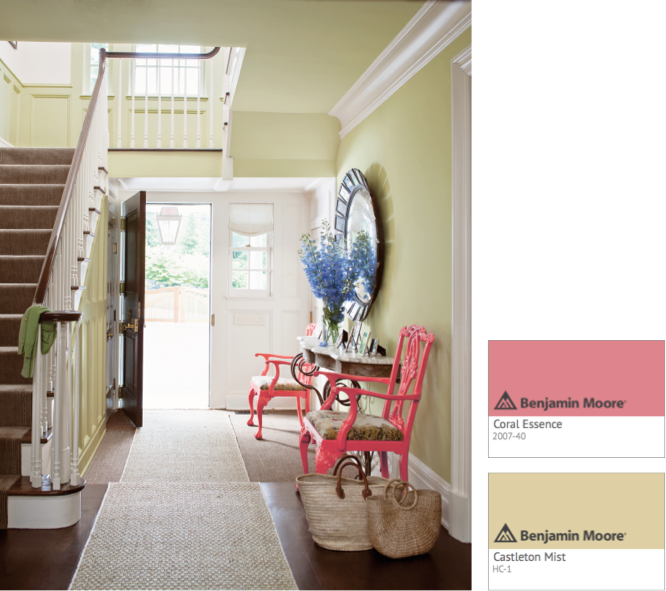 The hall, stairs and landing connect all the rooms in your home so making the right colour choice in these spaces will give your home a sense of harmony and flow. Consider the colours you have in adjoining spaces and try to chose a colour from the same or adjacent colour families - known as monochromatic or analogous colour schemes. 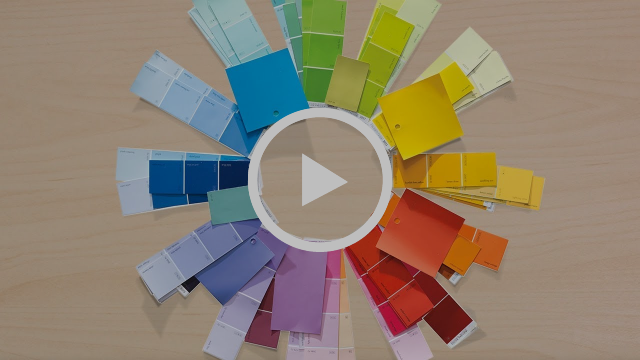 Click on the Colour Wheel below to see our handy video about how the colour wheel works and how to create different types of colour schemes. Understanding colour relationships will help if you really want to steer clear of the beige. Kitchen cabinets in Pashmina AF-100 tone perfectly with Jute AF-80 on the hallway walls to give a sense of flow between adjoining spaces. 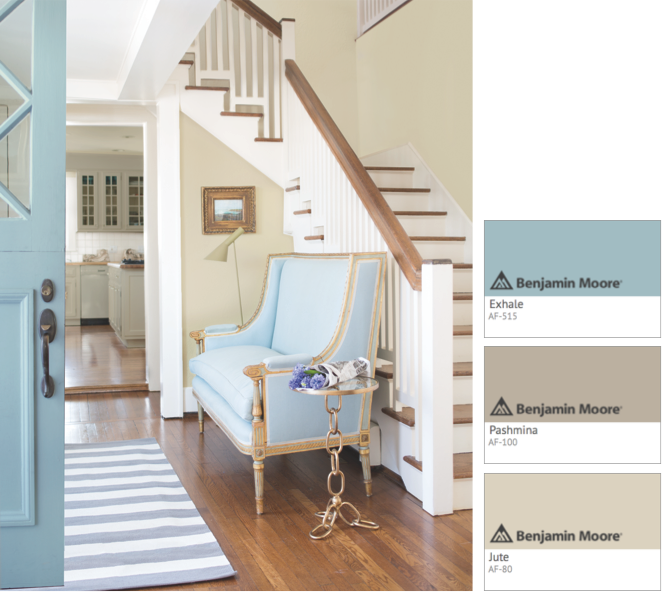 The front door is painted with Exhale AF-515 to echo the soft blue bench. For something a little bolder, consider this beautiful tonal pair of teal tones. 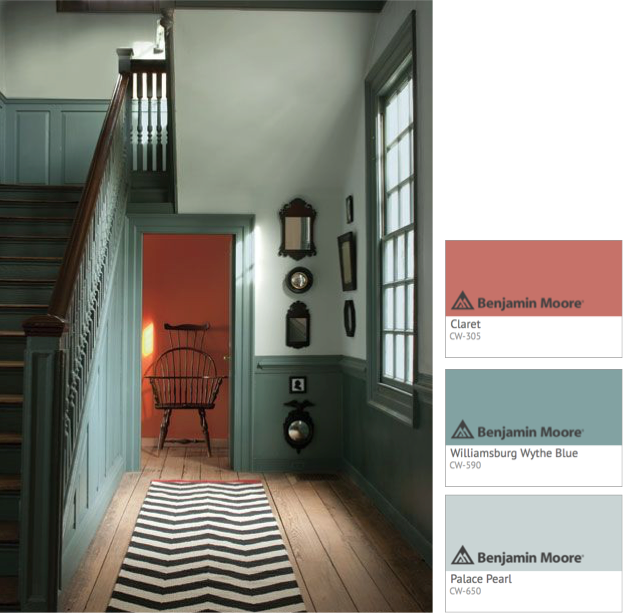 Taken from our historic Williamsburg collection, the colours bring drama to this hallway, which benefits from large windows. 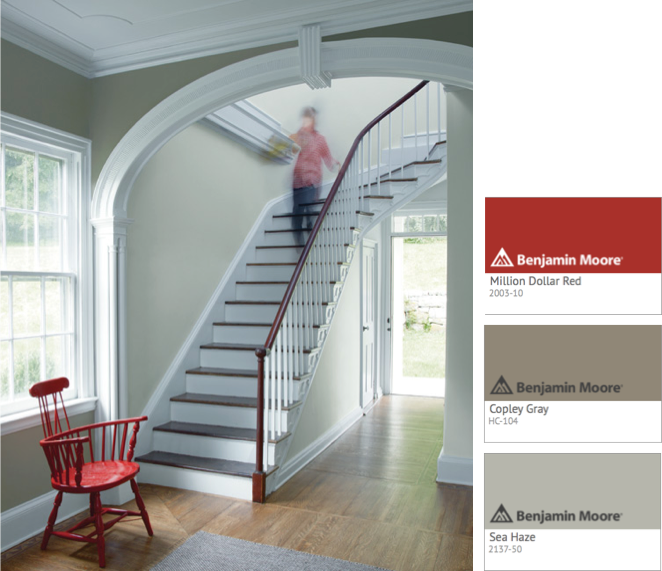 To ensure the space feels bright, the lighter tone, Palace Pearl CW-650, is used on the underside of the staircase. 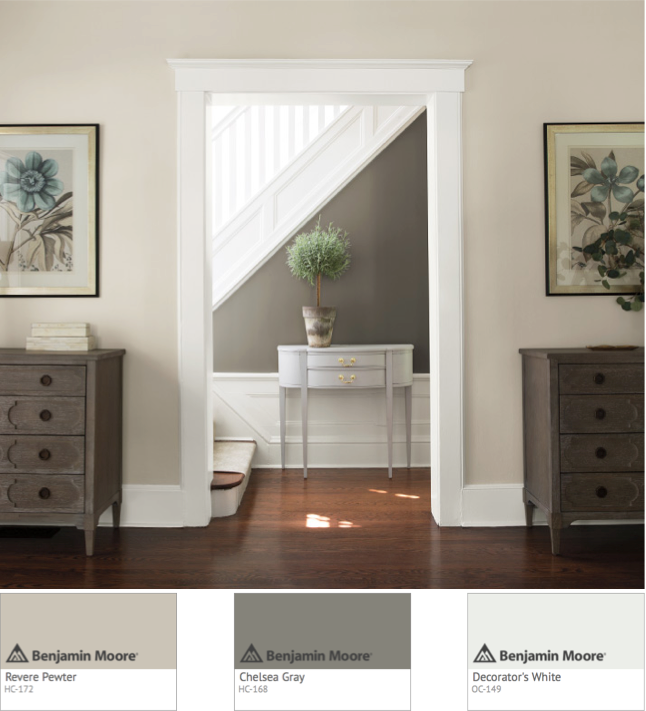 Sea Haze 2137-50 is a beautiful green toned grey which creates a soothing atmosphere. Here it is paired with Copley Gray HC-104 which helps to create a sense of flow between the adjoining spaces. 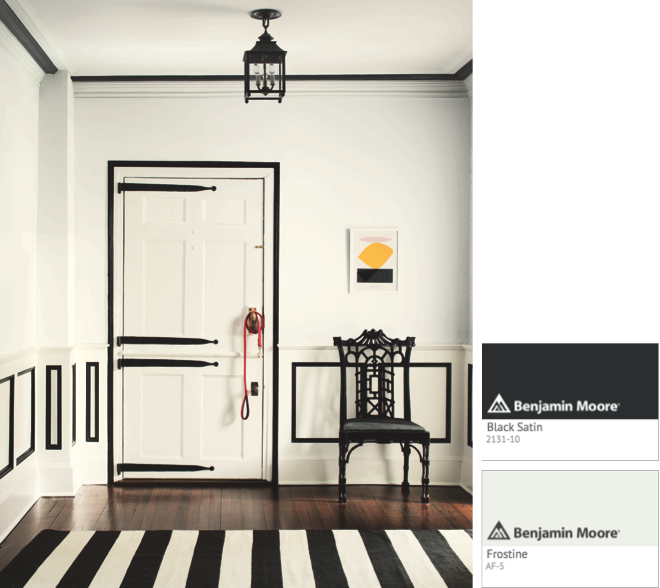 Your hallway is the space that greets your guests as they arrive in your home, so it is a great opportunity to make a statement about your design style and to create a welcoming atmosphere. So consider a pop of a stronger colour, perhaps to highlight an architectural feature or on the woodwork, to create a more dramatic, eye catching look. 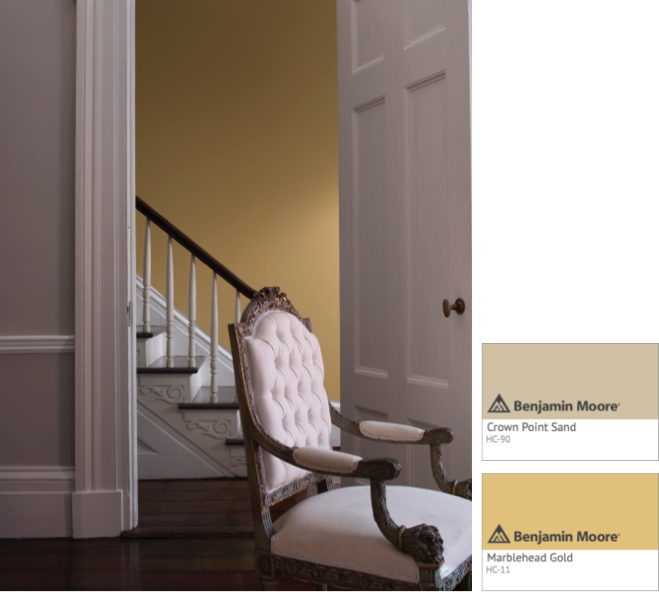 This wonderful soft ochre yellow, Marblehead Gold HC-11, creates a warm welcoming hallway and helps to emphasise the decorative detail on the stairs. Picking out the unique architectural features in a space with colour can create a really dramatic effect. Here Frostine (AF-5) is used on the walls, paneling and door. The accent colour is Black Satin (2131-30). 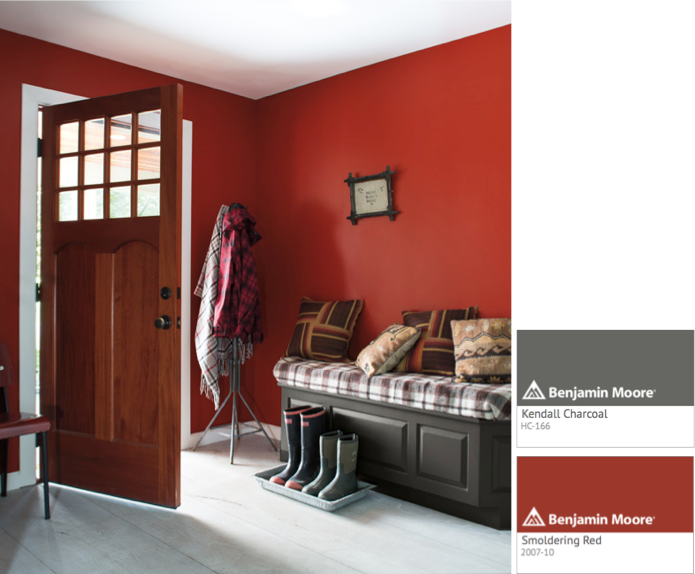 Using bold paint colours can make a confident and stylish first impression. Here Smoldering Red 2007-10 on the walls complements Kendall Charcoal HC-166 on the bench. One of our famous deep blue shades, Old Navy 2063-10, looks stunning against the clean white woodwork, painted in Simply White OC-117. In British homes, our hallways are often narrow spaces that lack natural light. If you want to introduce colour without going too dark on the walls, consider pale warm greens or soft coral pinks. 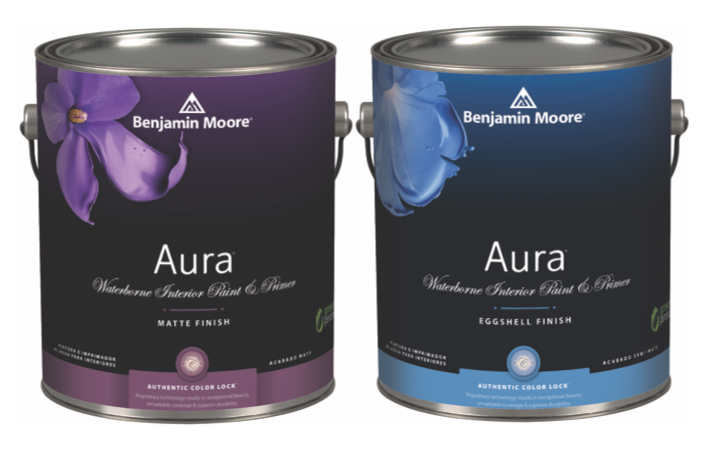 To evaluate how a hue appears in different types of lighting, use on of our pint sized sample pots to paint out a large area on lining paper or poster board then move it around the room and assess the colour at different times of the day. Click on our video below, which demonstrates how much lighting can influence colour. Castleton Mist HC-1 is an ochre-based gold tone with a green undertone which makes it feel earthy and inviting. In this scheme, traditional chairs are given a contemporary make over with Coral Essence 2007-40 to inject a playful twist. This peach tone, Peach Parfait 2175-70, gives the hallway a warm glow and complements Flint AF-560 used on the door. 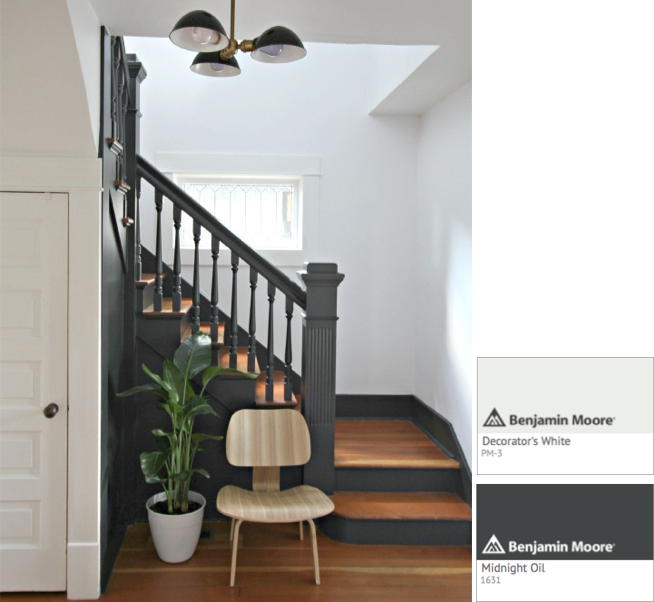 This stunning hallway make-over by Design Firm Simply Grove uses our Midnight Oil 1631 and Decorators White PM-3 to transform this hallway into a contemporary statement space. 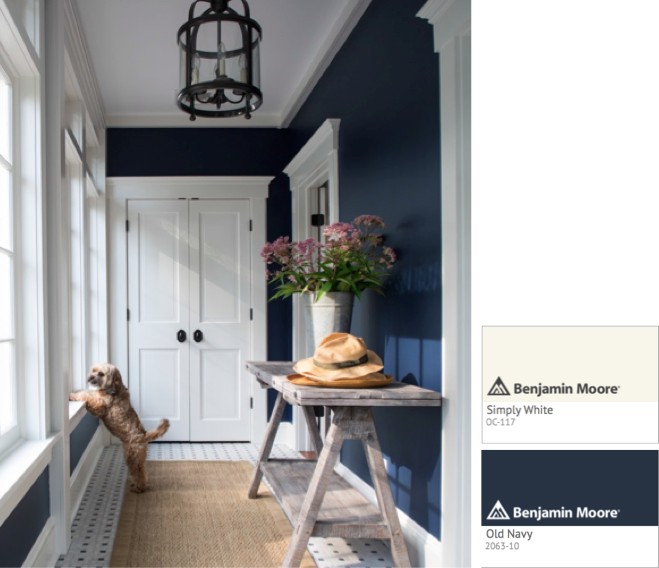 For high traffic areas like hallways, Benjamin Moore�s Aura� paint gives you a stunning depth of colour but also, critically, the highest level of durability to withstand the wear and tear of daily life. Matte sheens are of course very popular, but if you have a very busy hallway, perhaps with pets or small children running around, consider using the Eggshell sheen on the walls. This will give your walls an extra boost of durability and also give stronger colours depth and presence.